1tsp olive oil and a splash of vinegar. Serve with 1/2 of a 6-inch toasted whole wheat pita cut in triangles. 349 calories , 28 grams protein 41 grams of carb 10 grams fat 11 grams of fiber. “100 Calorie Snacks” You can enjoy! 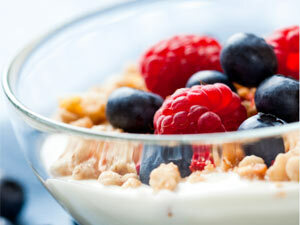 “Fat-Burning Foods” Great Breakfast,Lunch & Dinner recipe ideas! with 1/2 of a whole wheat English muffin and 1/2 cup of sliced strawberries. lettuce and roll, Serve with 1/2 cup cubed watermelon. with 4 oz. grilled, sliced chicken breast, 2 tbsp. low-fat grated cheddar, 1/2 cup chopped tomatoes, and 1/2 cup shredded lettuce. Top with 1 tbsp. salsa. Serve with green salad with low-fat dressing. 393 calories, 46 grams protein, 38 grams carb, 9 grams fat , 6 grams fiber. HURY DEAL ENDS JULY 27TH !! * TRY IT * SPECIAL !! – AND GREAT NUTRITION TIPS TO HELP YOU BE ON THE WAY TO THE NEW AND IMPROVED YOU !!! It takes more than being born with it to get that gorgeous bikini body and look good in a bathing suit. Eating Healthy ,fresh food is CRUCIAL, too. Take the first step toward a fiercer figure by joining us @MyBodyContour. We can help you get to your goal with our expertise in Nutrition, Exercise and Lipo-Ex. We Will fire up your results! My Body Contour (MBC) made is simple to eat right. MBC provides an easy-to-follow meal plan complete with a host of zesty recipes that will help you slim down without sacrificing FLAVOR!! =) Our meal plan fights fat and boots energy by combining good carbohydrates, lean proteins, low saturated fat, and limited sugar, delivering maximum nutritional power that will fuel your workouts and keep your body-beautiful goals on track. Want to know the best part?? This plan is custom-tailored to fit your body. Simply calculate your calorie needs, then from the lists provided, pick and choose the meals and snacks that make your taste buds tingle. It’s that easy! Are you ready for body transformation? CALL or Email Us for More Info..